Jean O’Hara is now a prominent psychiatrist in London, but she grew up in a humble tenement flat in Hong Kong in the 1960s, the daughter of an Anglo- Burmese librarian (later a senior civil servant) and his Chinese wife. Her childhood was a simple one, sleeping on a straw mat in a tiny bedroom which she at first shared with both her grandmother and sister. As Jean grew up she developed a fascination for medicine and moved to the UK to attend medical school, eventually becoming a consultant psychiatrist. 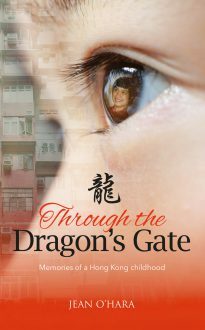 This book is her account of a childhood steeped in the culture of China, and first steps in a career in medicine. Central to the story is the character of Jean’s Chinese grandmother, a charismatic matriarch who gave her a rich understanding of Chinese culture and an oriental outlook which has never left her.